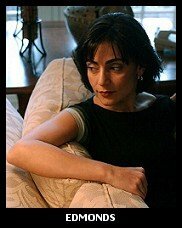 During my recent interview with FBI translator-turned-whistleblower Sibel Edmonds on the Mike Malloy Show, a caller had asked her opinion on whether she believed 9/11 to have been “an inside job”. Her complete response, pulled from the lengthy interview (full, commercial-free audio here) has been transcribed by Luke Ryland, perhaps the world’s foremost expert in all things Sibel Edmonds related. Read his full diary here, along with the (currently) 445 comments in response to it. There is something odd about Edmonds.